"Engaging Children is funny, a bit irreverent, and most of all helpful in teaching kids how to do the important work of learning." —Cris Tovani, teacher and author of No More Telling as Teaching and Do I Really Have to Teach Reading? We all want our students to be engaged learners, but we often struggle with getting them excited about and responsible for their own learning. 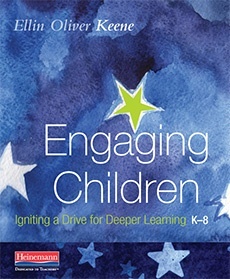 In Engaging Children, Ellin Oliver Keene explores the question: What can we do to help students develop internal motivation or, better yet, engagement? key differences between internal motivation and engagement.